Thomas asked Luciftias to remix his 6-hour piece, “Beyond The Velvet Sky”, a longform drone written using sferics (atmospheric discharges from the Earth). 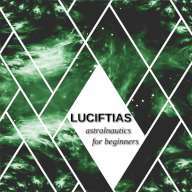 Luciftias responded with this hypnotic 9-hour opus. Astralnautics For Beginners at Archive.org.